Alrighty… one of my relatives has been into card making for quite some time. She makes cards from scratch, but she also embellishes store-bought cards using buttons, cabochons, acrylic gems and, of course, stickers. So for a few years now, I’ve received many beautiful cards for all kinds of occasions (birthdays, Christmas, Easter, invitations, etc.). A few months ago I thought that I could try to make more of an effort with cards. I wasn’t really sure where to start, but I bought mixed gems, mixed buttons and colourful pearls (flat back ones). In addition, Paperchase had a big sale going on, so I bought a number of cards and writing sets. 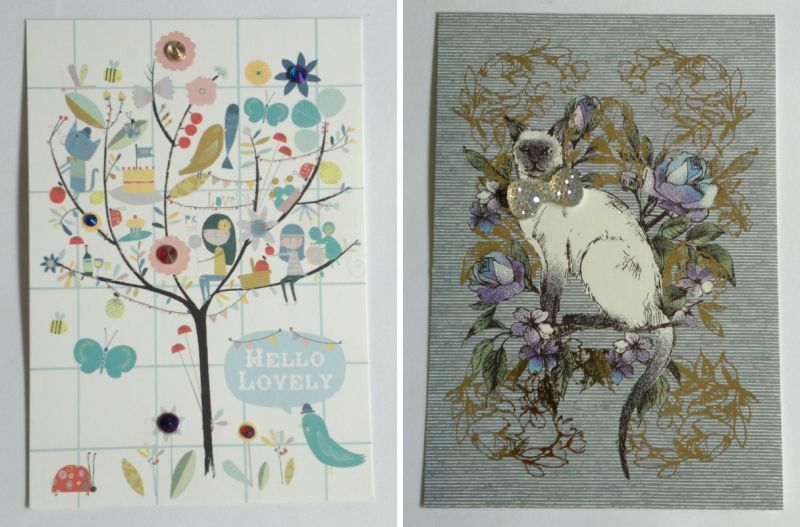 Amongst many other items, I picked up these 2 cute cards for 40p each. I really liked the “Hello Lovely” card. I knew right away that I would use some of the colourful gems to make the flowers pop. 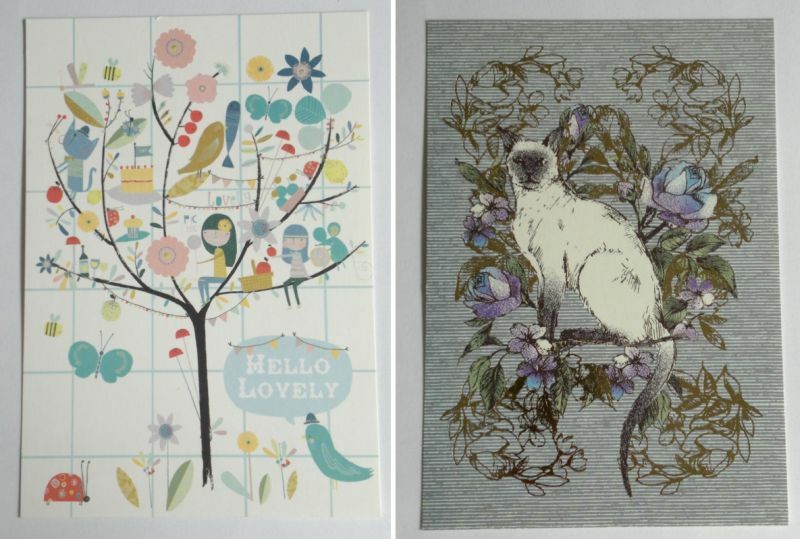 And the “Floral Cat” card caught my eye because of its beauty. I also noticed right away that the cat would look more glamorous with a sparkly bow tie (which I also happened to have). And here’s what the embellished cards looked like! However, I didn’t just buy 2 cards. 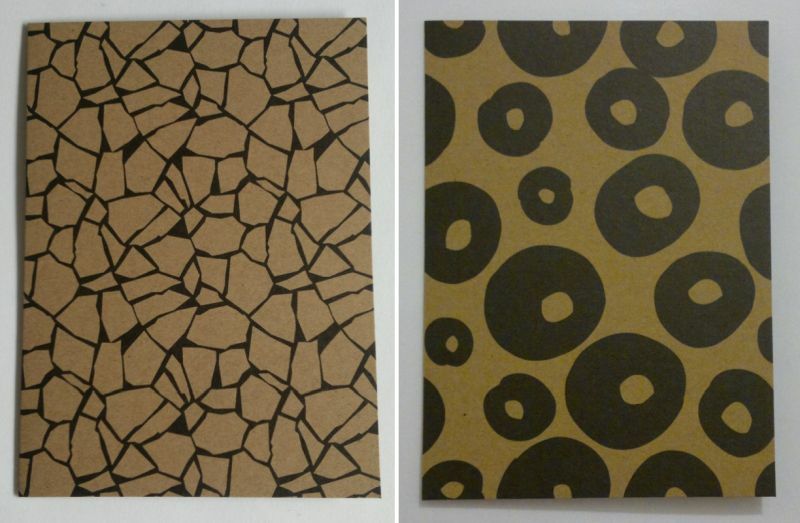 Amongst a number of different items, I also picked up a set of unusual looking craft note cards (6 different designs, 2 each). These were 70% off! 😉 My husband doesn’t like these cards at all. And whilst I understand why he feels this way, I don’t agree with him at all. I think these cards are pretty awesome. They’re unusual, and they’re perfect for craft projects! Whilst I’m still not sure what I’m going to do with the “Shattered” cards, I instantly knew that I’d use a few colourful gems to beautify the “Blobs” cards. 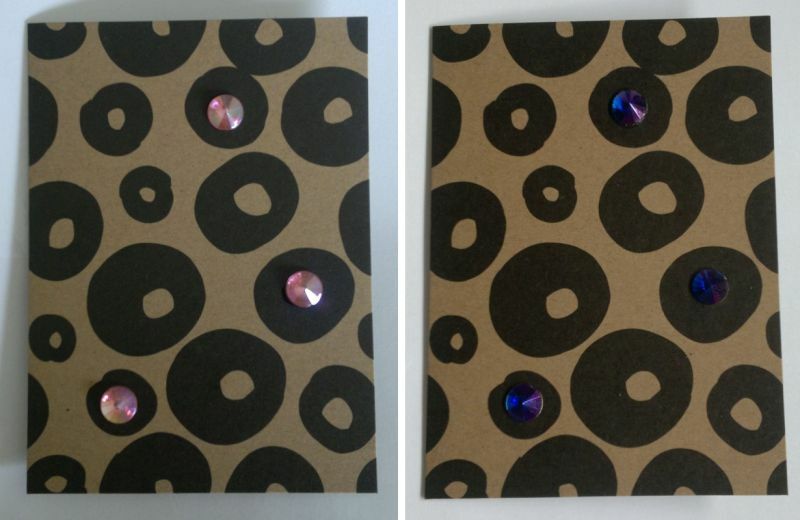 I glued pink gems onto the first card and purple gems onto the second card. I still have the card with the pink gems, but I already gave the one with the purple gems away. The recipient liked it very much! I’ve only been embellishing cards for a few weeks now, but I’m already hooked. I don’t think I’ll ever make cards from scratch, but embellishing store-bought cards is awesome fun. In addition, it’s super easy to do. If I can do it, so can you! Are you into craft or card making? Do you have any (new) hobbies you’d like to share? Feel free to get in touch via the comments. And thanks for stopping by!